Case studies are impartial and objective summaries of toxicological matters wherein TCAS was retained for the purpose of assessing toxicological factors. In many cases the assessment led to a determination of impairment, disease, death causation or no causation. It is our hope that these case studies will familiarize and educate readers with basic concepts in forensic toxicology. Each case is unique and the toxicologist must always consider the context and circumstances in a toxicological assessment or forensic investigation. What may hold true for one case may be completely different for another, even if the same substances or circumstances are present. For example, dosage, exposure characteristics, duration and additive effects of a particular substance are likely to be different in every case. Additionally, federal and state regulatory guidance varies widely by region, by substance and with respect to toxicity standards. Thus, the outcome of one case history in no way implies a similar outcome in other cases. Indeed, in some cases the claims were shown to be scientifically invalid with successful defense verdicts resulting from TCAS assessments. 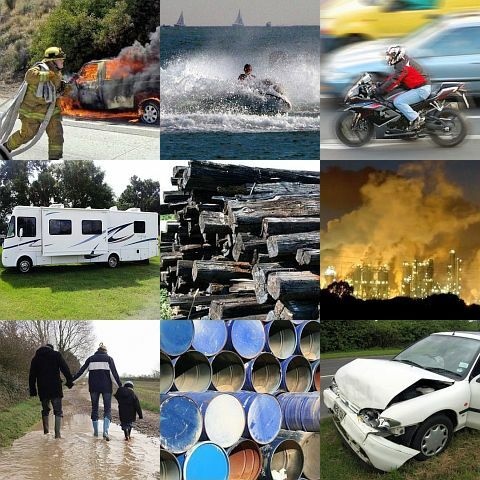 This page also presents a series of toxic exposure studies for selected substances. Toxic exposure studies provide descriptive and instructional information pertaining to some of the various toxic agents for which TCAS has been retained on numerous occasions. Toxicology case studies provide historical information pertaining to past cases typically involving application of a multiplicity of disciplines. Each study contains an outline of facts, events and circumstances surrounding the case, a description of some of the health and legal aspects, an overview of the steps taken by TCAS to address the case requirements and a brief summary of the outcome. Names and identifying information are generally not provided due to privacy and legal considerations. Toxic exposure studies provide descriptive and instructional information pertaining to some of the various toxic agents with which TCAS has been involved on numerous occasions. Studies outline the steps typically required to assemble relevant site data and assess exposure, toxicity and risk. In some instances we have included demonstratives TCAS has used in past hearings and trials for educational and instructional purposes. No names or identifying information have been included due to privacy and legal considerations. "Toxicology case studies provide readers with insights into some of the cases with which we have been involved. TCAS is committed to providing our clients with the full benefit of our experience in the widest possible range of capacities."